No one wants their visitors to see the trash cans when enjoying the outdoors. Little Cottage Company offers a simple but classic solution with the Garbage Can Shed. It hides trash cans and prevents them from getting blown over when the weather gets gusty. 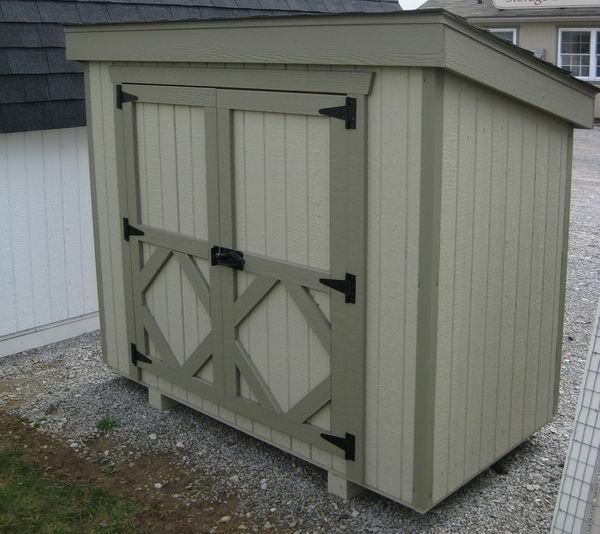 Coming in a panelized kit, this shed is easy to assemble as well! Little Cottage Company offers a great answer to the eyesore of trash cans when enjoying your outdoor space.